Every now and again I get requests for sports themed cookies. Golf, is my very favorite sport and I have done many along these lines! They make great party favors for an outing and I whipped up the golf cart cookies in an afternoon for a birthday. Looking forward to working on that golf cart again! These will be fun to do again! 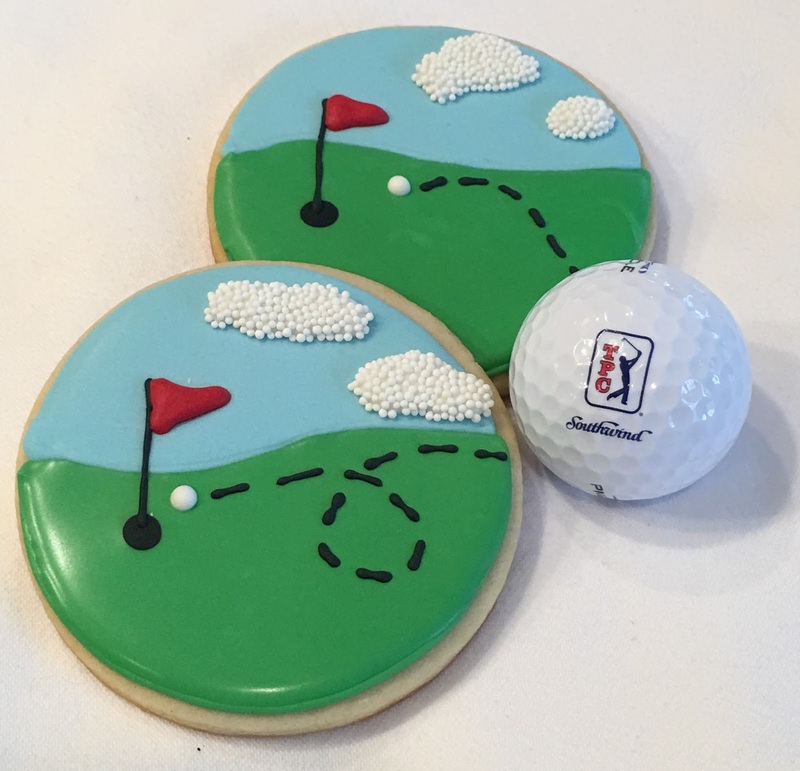 I made these for a PGA golfer while at the tournament. Now this may not qualify as sport per se, but Pure Barre is my addiction. I go about 5 times a week, until golf season comes along! My PB buddy hit her 1,000th class. I just hit 750, I've a ways to go! 500 classes is also a huge accomplishment. 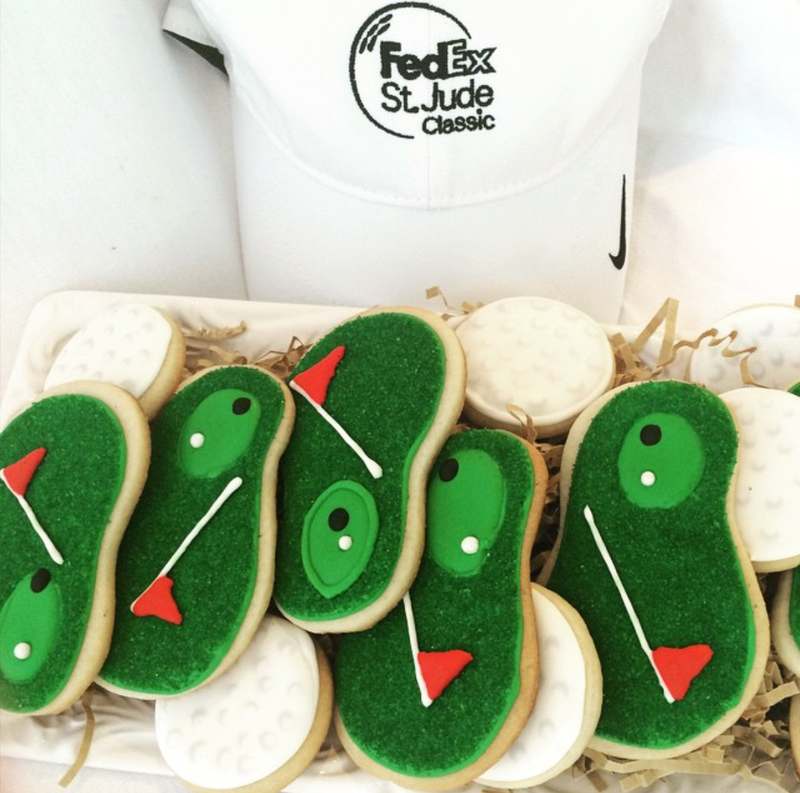 My Nashville friend called and asked for tennis cookies for her team heading to State. No, not high school, this is league tennis. These were apparently the good luck charm as they won the whole darn thing! So a young man I know has distinct birthday ideas every year. For his 7th hockey in his favorite colors, and below, the bowling balls for his 8th! Swimming cookies are an easy one. I like the graphic nature of these, and the black and gold is school colors. Lastly, one of my friends who is the workout guru. She trains folks, teaches classes, teaches food prep classes and is a grandma! These, are hers. 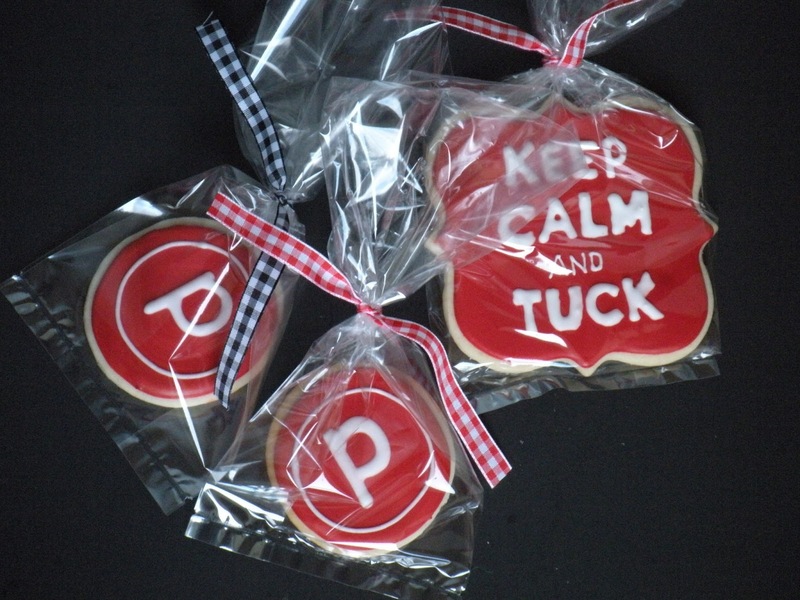 These cookies are proof that you don't have to slave away for days with intricate designs for a great looking platter. 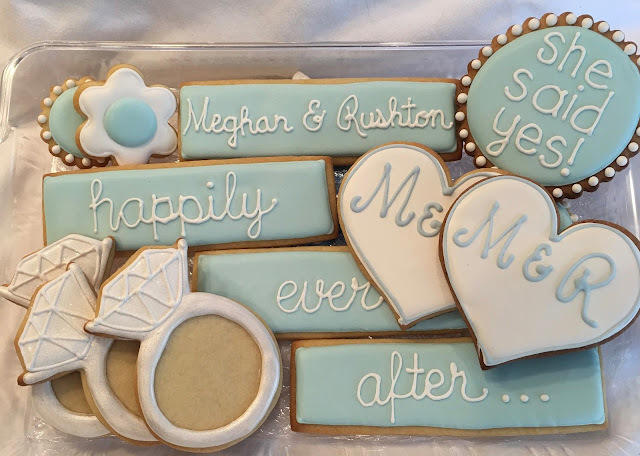 Cute and easy, and I really like that there are some small cookies on this platter because a lot of folks want a sweet but not a big portion.